Guide to Buying Your Vegan Thanksgiving Menu From Amazon! Thanksgiving will be here before you know it, and it’s impossible to start planning for the holiday too early. This goes double for plant-based eaters who have to work around a mountain of traditional thanksgiving essentials. Whether you’re hosting an exclusively plant-based dinner with like-minded foodies or having a classic thanksgiving with family and friends of all different diets, we’ve got you covered. This article will recommend essential Thanksgiving items to ensure that no matter what shape your celebration takes, every can feel included. All products are available on Amazon.com, and have information on gluten-free and soy-free products as well. Edward and Sons Mashed Potatoes is vegan, gluten free, and kosher. $13.68. Trader Joe’s Cranberry Sauce contains 20gs of sugar. $13.99. 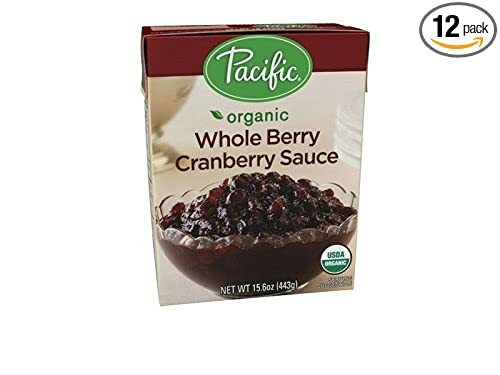 Pacific Whole Berry Cranberry Sauce Cranberries is USDA Organic. $57.13 for a pack of 12. 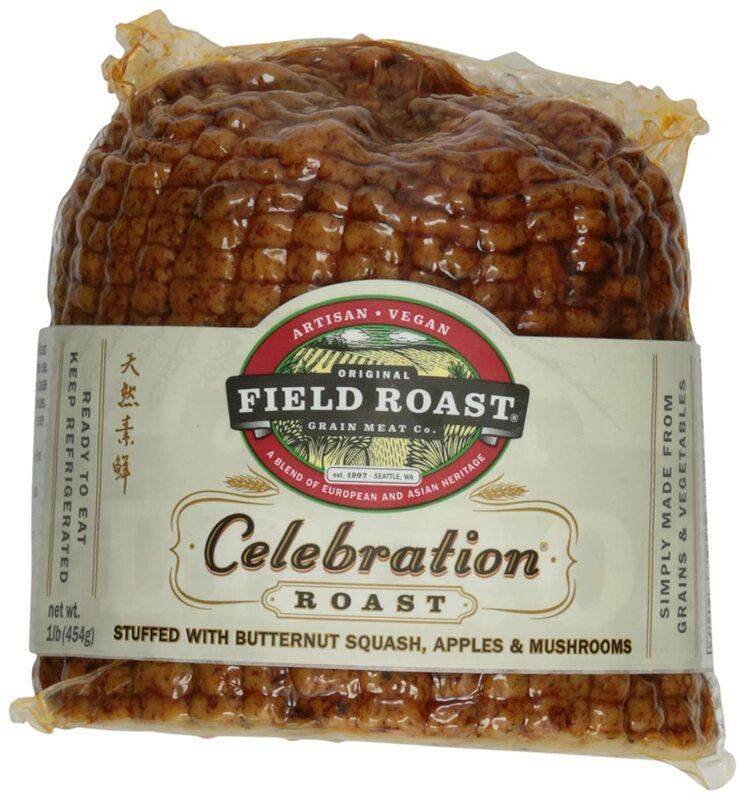 Field Roast Grain Meat is made from grains with squash, apples, mushrooms and wheat gluten. Amy’s Light in Sodium Butternut Squash Soup is low in fat and reduced sodium. $3.39. Pacific Foods Organic Creamy Butternut Squash Soup is gluten free. $4.99. 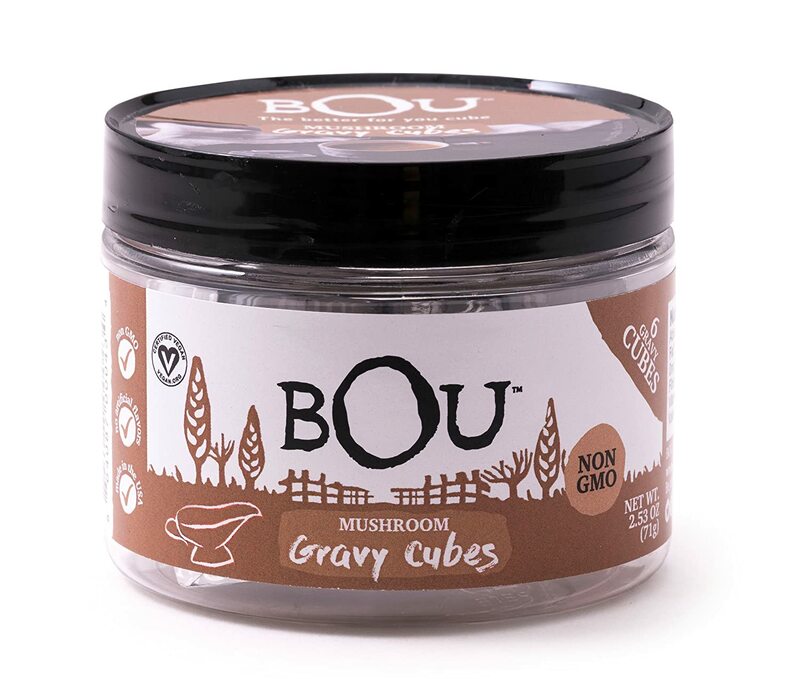 Bou Gravy Cubes are made from mushroom. They are non-gmo and have no artificial flavoring. $24.99. 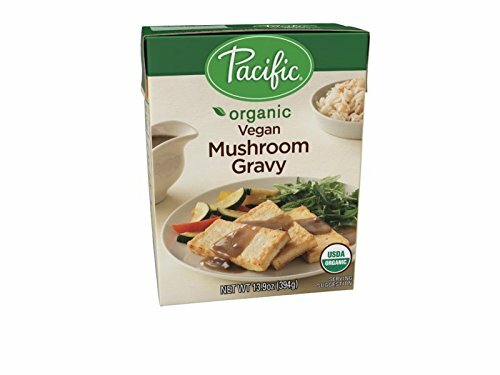 Pacific Mushroom Gravy is USDA Organic. $8.23. 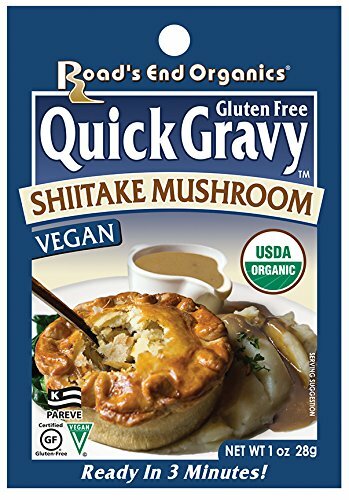 Road’s End Organics Quick Gravy is made from shiitake mushrooms. It is organic, gluten free, kosher, and vegan. $20.98 for a pack of 12. 365 Everyday Value, Organic Multigrain Stuffing Mix is made from a USDA organic vegan recipe. $2.39. BFree Rolls are Certified gluten free (GFCO), Wheat Free, Dairy Free, Egg Free, Nut Free, Soy Free, High Fiber, Non GMO, Low Fat, High Protein, Kosher Certified and contains no added sugar. $34.67 for a bundle of three pack. R.W. Knudsen Cider & Spice has an Amazon Fresh freshness guarantee. $3.50. OrgraN All Purpose Rice Crumbs are Wheat-free, gluten-free, and vegan. $56.15 for a pack of 8. CherryVale Farms Cornbread Mix is non-GMO and Soy-free. $16.14. Of course you can create all your Thanksgiving essentials yourself! Check out these three recipes, courtesy of the Food Monster App. These Rosemary Wild Rice Stuffed Mushrooms by Jamie Bevia re breathtaking to look at, delightful to eat, and will impress all your friends at the next cocktail party you host. Meaty mushroom caps are stuffed with a rosemary-infused wild rice, a subtle array of spices, finished with crispy bread crumbs, and then roasted to perfection. These mushrooms give a rich, meaty taste this dish. Katie Koteen‘s Savory Mushroom Gravy uses cremini mushrooms along with thyme, sage, and a little white wine to make a flavorful gravy that will be delicious on everything. These Calcium-Packed Navy Beans Biscuits and Roasted Garlic Gravy by Kelly Williams are super healthy and absolutely scrumptious. Navy beans make their way into the two main components of this savory plate of biscuits and gravy, and almond milk and tempeh help increase the calcium content. If you’re looking for more hearty vegan dishes to make, check out our Ultimate Thanksgiving Guide, 15 Hearty, Meat-Free Casserole Recipes That Will Keep You Warm and Cozy, and 15 Vegan Recipes For the True Potato Lover by downloading the Food Monster App. The app is available for both Android and iPhone and has free and paid versions. It’s loaded with thousands of allergy-friendly recipes and cooking tips, and has hundreds of search filters and features like bookmarking, meal plans and more!